Seven weeks ago a new, highly pathogenic, H5N8 avian flu virus was identified in in South Korea and was subsequently detected on a number of farms and among numerous birds in the wild (see Jan 17th report Media Reporting Korean Poultry Outbreak Due To H5N8). Up until that time, H5N8 was normally only seen in a low pathogenic form (although one HPAI H5N8 sample had been previously described in China). Despite a massive mobilization of resources against it, that virus continues its march across the Korean Peninsula, and as of three days ago had been detected in all but two provinces of South Korea. Millions of poultry have been culled, and the outbreak shows no signs of abatement. The good news, so far, is that unlike it’s H5N1 and H5N2 cousins, this H5N8 virus has not shown any inclination to infect humans. Today, Arirang News is reporting an H5N8 positive goose has been found in Gwacheon, about 2 miles from the Seoul Zoo, prompting the closure of that facility. Korean officials have confirmed another outbreak of avian influenza in a southern Seoul suburb. The Animal and Plant Quarantine Agency confirmed Thursday that a dead bean goose found in the city of Gwacheon in Gyeonggi-do Province was infected with the H5N8 stain of the bird flu. If confirmed to be highly pathogenic, access within 10-kilometers of the area will be restricted, which includes southern parts of the Seoul metro area. The city has banned the movement of poultry in the area, while officials are stepping up quarantine measures and disinfection procedures are also underway. Meanwhile, the Seoul Zoo, which is less than two kilometers away from where the dead goose was found, has decided to close its doors for the time being. Against this cluttered tableau we have an ahead-of-print letter published in the CDC’s EID Journal, describing not one – but three distinct novel reassortant influenza A(H5N8) viruses - that have emerged recently in South Korea. While influenza viruses normally evolve through a process called antigenic drift – a relatively slow process where minor amino acid substitutions accrue during (flawed) reproduction – sometimes a new `hybrid’ virus will emerge from a process called antigenic shift, or reassortment. Shift occurs when one virus swap out chunks of their genetic code with gene segments from another virus. While far less common than drift, shift can produce abrupt, dramatic, and sometimes pandemic inducing changes to the virus (see NIAID Video: How Influenza Pandemics Occur). The H5N1 virus came about from a series of these reassortment process, as did the 2009 H1N1 pandemic virus, and the H7N9 virus currently plaguing China. Luckily, most reassortant viruses are unable to compete with existing `wild’ viruses, and quickly die out. Only rarely does one appear that is `biologically fit’ enough to thrive, else we’d be hip deep in new viruses all the time. But, history has shown that these reassortants do occur, and sometimes they can be genuine game changers. Some excerpts, therefore, from yesterday’s early release of a genetic analysis of H5N8 viruses sampled from Korea, appearing in the EID Journal. Much of this is fairly technical, and those who are so inclined will want to follow the link to read it in its entirety, but I’ve excerpted some of the main points. To the Editor: Highly pathogenic avian influenza (HPAI) viruses have caused considerable economic losses to the poultry industry and poses potential threats to animal and human health (www.oie.int/en/ and www.who.int/en/). Since 2003, influenza A(H5N1) viruses with a hemagglutinin (HA) gene derived from A/goose/Guandong/1/96–like viruses have become endemic to 6 countries (Bangladesh, China, Egypt, India, Indonesia, and Vietnam) (1) (www.cdc.gov/). Furthermore, HPAI viruses with an H5 subtype continue to undergo substantial evolution because of extensive genetic divergence and reassortment between other subtypes of influenza viruses. Especially in China, novel subtypes of H5 HPAI virus, such as influenza A(H5N2), influenza A(H5N5), and influenza A(H5N8) viruses, were reported during 2009–2011 (2,3). On January 16, 2014, clinical signs of HPAI, such as decreased egg production (60%) and slightly increased mortality rates, were detected in ducks on a breeder duck farm near the Donglim Reservoir in Jeonbuk Province, South Korea. On January 17, a farmer (5 km from the Donglim Reservoir) also reported clinical signs of HPAI in breeder ducks. In addition, 100 carcasses of Baikal teals were found in the Donglim Reservoir. RNAs extracted from organs (liver, pancreas, and trachea) of dead Baikal teals were positive for H5 subtype virus by reverse transcription PCR (4). We isolated viruses from suspected specimens by inoculation into embryonated specific pathogen–free chicken eggs. The H5N8 subtype was identified by using HA and neuraminidase (NA) inhibition assays. Three viruses isolated from domestic ducks and wild birds were designated A/breeder duck/Korea/Gochang1/2014 (H5N8) (Gochang1), A/duck/Korea/Buan2/2014 (H5N8) (Buan2), and A/Baikal Teal/Korea/Donglim3/2014 (H5N8) (Donglim3). All 8 RNA genome segments of these viruses were amplified by using segment-specific primers and directly sequenced (5). Sequences of the 8 RNA segments of each virus were submitted to GenBank under accession nos. KJ413831–KJ413854. We characterized 3 distinct novel reassortant influenza A(H5N8) HPAI viruses during an influenza outbreak in South Korea. Buan2 and Donglim3 viruses showed high nucleotide identities, which suggested that the outbreak viruses in domestic ducks and Baikal teals might have an identical origin. Although research on the epidemiologic features of this outbreak is currently underway, it seems likely that on the basis of reassortant sequence features of the 8 genome segments, these 2 distinct viruses originated in eastern China. These influenza viruses are a potential threat to the poultry population in South Korea, including gallinaceous birds in live bird markets, or during movement of domestic ducks from one farm to another. Just as H5N1 has evolved into more than 20 clades and sub-clades (and countless variants) over the years, the HPAI H5N8 virus has at least three branches on its family tree, and more are likely to emerge over time. Interestingly, the Buan2 and Donglim3 viruses are closely matched – suggesting a common origin - while the Gochang1 virus is genetically more distinct. 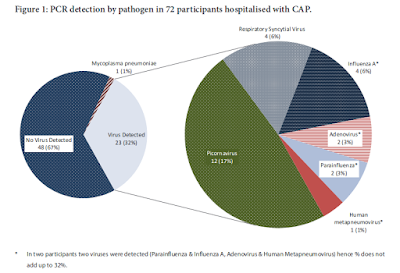 The identification of Eastern China as being the likely source of these viruses is consistent with many other studies showing that regions’ capacity for producing reassortant viruses. Last year, in EID Journal: Predicting Hotspots for Influenza Virus Reassortment, we looked at research that ranked China as one of the globe’s top breeding grounds for new flu strains.